Tomorrow marks the start of the 2015 League of Legends Championship Series Spring Season, in which the best teams in Europe and America begin a long campaign to see who will dominate their region and win a trip to Worlds next year. But if you haven’t paid much attention to League since the end of the 2014 season, you have some catching up to do. This past off-season saw the biggest changes in the LCS since the series’ inception in 2013. With ten teams competing in both the European and North American divisions of the LCS, the regular season finally has the importance and pressure that it lacked the last two years. Instead of being a series where the vast majority of teams would make the playoffs, now there are four teams that will miss the playoffs each season. While the seventh-place team is rewarded with a place in the following season, the eighth and ninth place teams will have to fight a Challenger Series team to retain their spots in the LCS. Most ominously, the last-place finisher is automatically relegated to the Challenger Series and the top Challenger team gets its spot. That’s a huge change for the LCS, but it actually pales in comparison to the massive changes that swept through the two LCS regions in the off-season. After years of small, incremental roster changes by the most successful LoL teams, the end of the 2014 season set-off a “silly season” of retirements, transfers, departures, and new arrivals. The result is an LCS season that feels completely divorced from the last one, and much of the sport’s own history. You’ll get a taste for how sweeping those changes have been when the EU LCS starts tomorrow with Elements vs. Fnatic. Elements come to the 2015 season having replaced the Alliance “super team” with a brand new super team. It’s almost the same lineup as the Alliance squad that Henrik “Froggen” Hansen selected when he formed Alliance, except that ace AD carry Martin “Rekkles” Larsson is now a part of the team. On paper, that should finally give Alliance the pan-Rift dominance that can make them a contender at Worlds. But wait, you say! Isn’t Rekkles the linchpin of the veteran Fnatic squad? Well, he used to be, except that the entire Fnatic squad was turned over following the 2014 season. After years of playing together, the lineup of xPeke, Cyanide, YellOwStaRm and Soaz finally parted ways, forcing Fnatic to put together an entirely fresh roster. Fnatic have assembled a hodge-podge of talent at the moment, and they’re kind of a wildcard coming into the split. Jungler Kim “ReignOver” Yeu Jin is a veteran of the Korean Champions series with Incredible Miracle, but they were fairly undistinguished team in his time with them. Augmenting him is another Korean player, Huni, as well as two pickups from the H2k-Gaming team and SK Prime. Tomorrow is a difficult and important first test for Fnatic, whose old lineup were perennial championship contenders in Europe. Have they successfully made the jump to a new era? That same question, in one form or another, looms over many of this year’s teams. Tomorrow’s games feature a whole lot of radically changed teams, like a Gambit squad where only Danil “Diamondprox” Reshetnikov remains from the old Moscow 5 team. The former Curse team, now playing as Team Liquid, comes with a radically changed roster of its own, including Chae “Piglet” Gwang Jin, who was a key member of 2013’s world champion SK Telecom lineup. 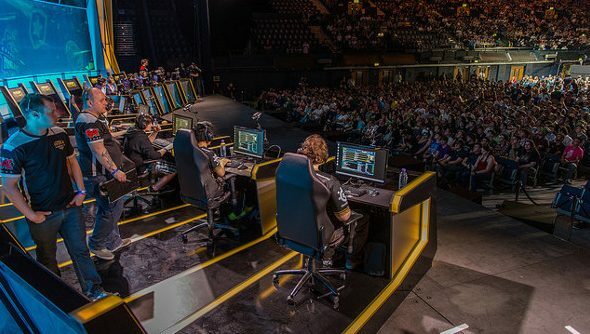 This season is especially significant for European teams this time around, as Riot have announced that this year’s World Championship will take place across Europe. It’s an important time, then, for Europe’s top teams and players to make a push and finally show that they can keep pace with China and Korea in League of Legends. The games start tomorrow at 5 PM UK / Noon Eastern with Elements vs. Fnatic, streamed live on lolesports.com.